in your own sewing room at your own pace. "Hello Helen, Watched your DVD 4 times. Made up a sandwich and a cuppa and away I went. 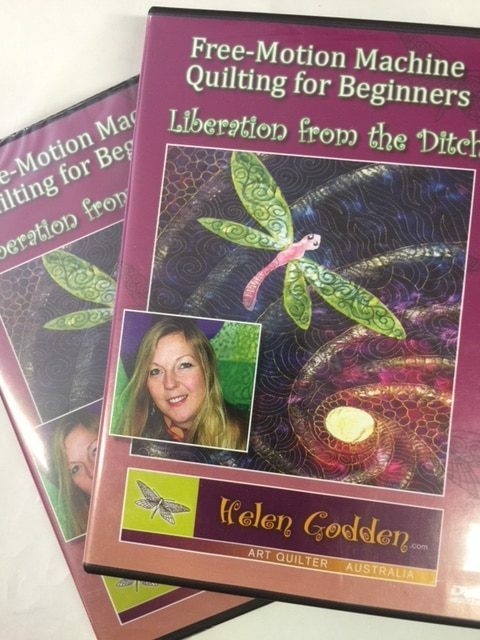 Your swan analogy is the most enlightening information I've had about how to do free motion quilting. I just never could get it together but when I took your advice I actually quilted something that didn't look like chicken scratch. I had stopped practising because my work just wasn't getting better and I didn't know what to do to improve my stitching. I need plenty more practice but I feel like I've been set free from scratching around in the chook yard and am now soaring like an eagle. Thank you, thank you, thank you, A budding eagle quilter,  Kath"